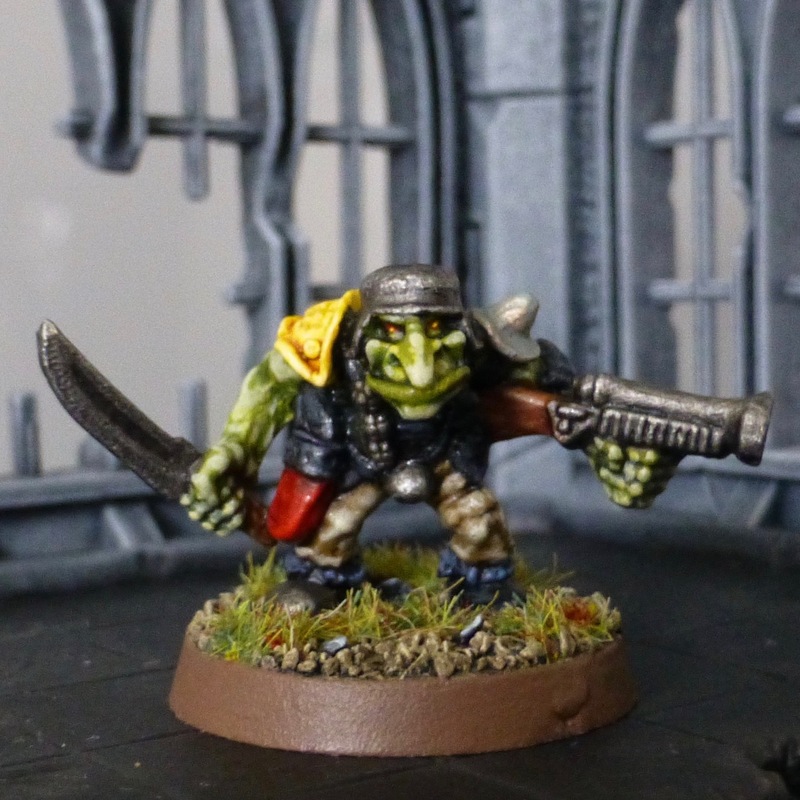 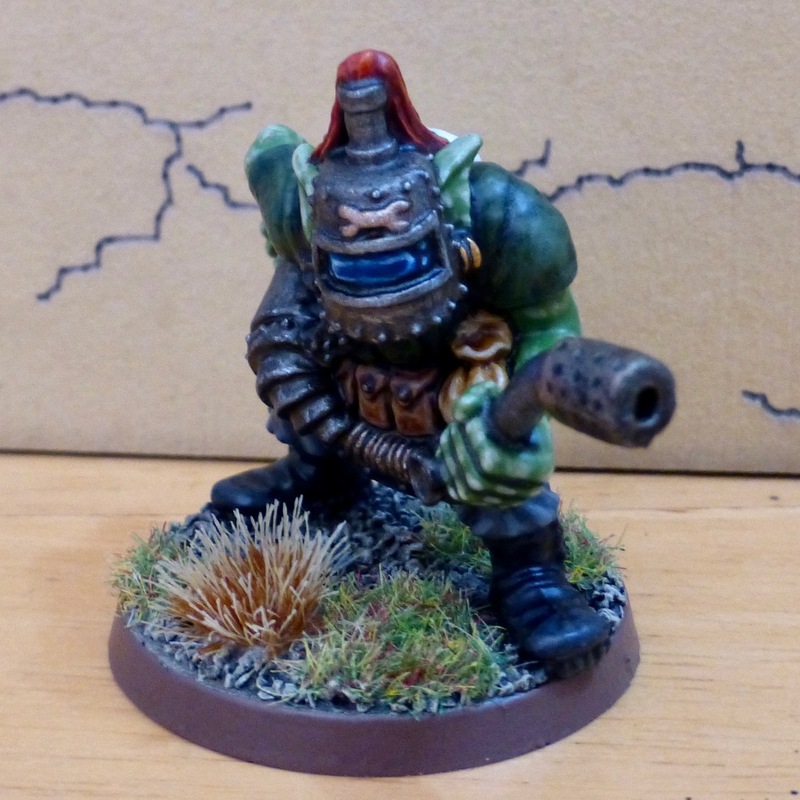 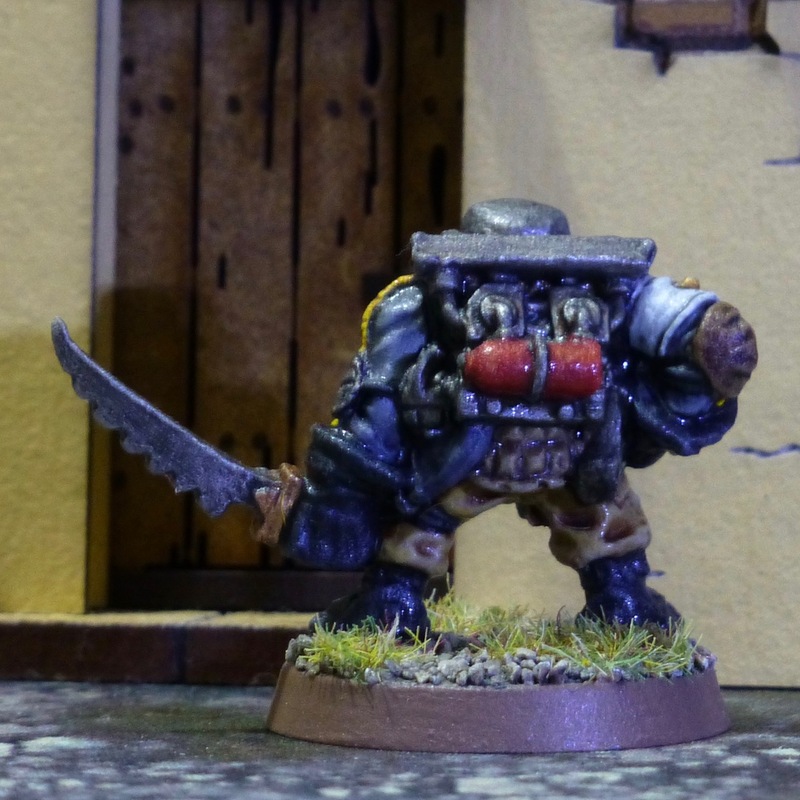 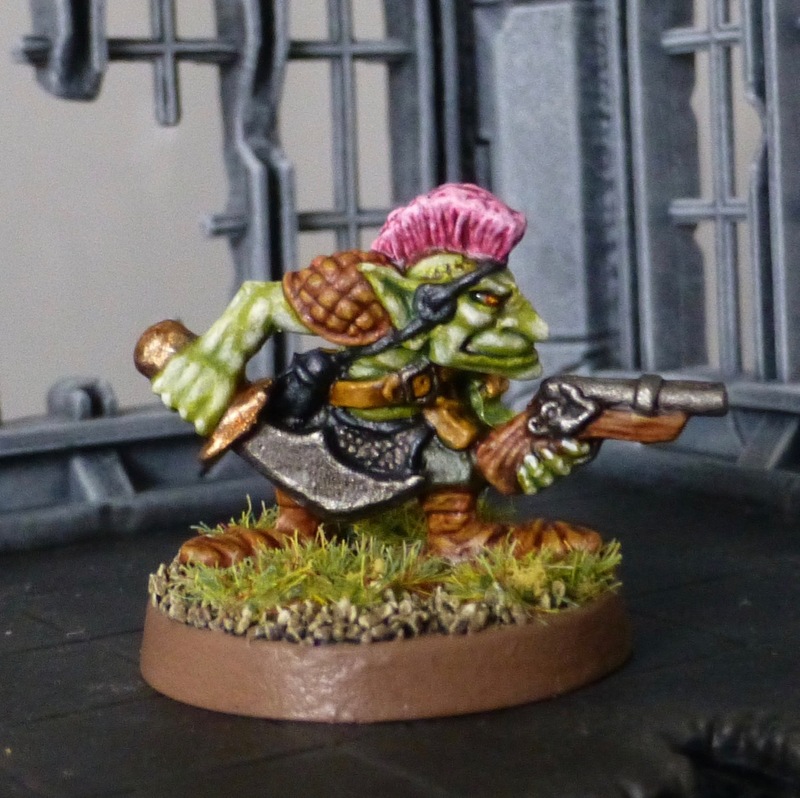 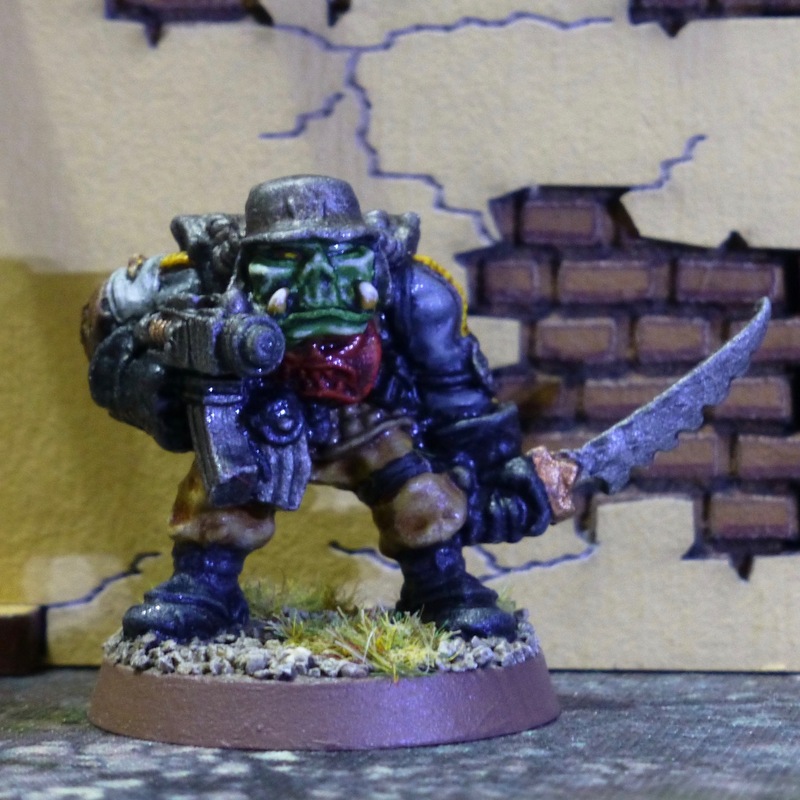 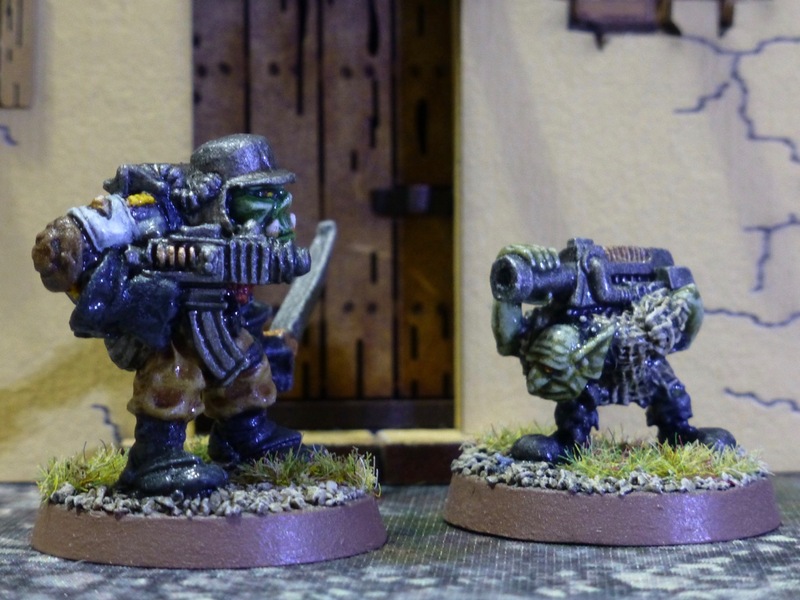 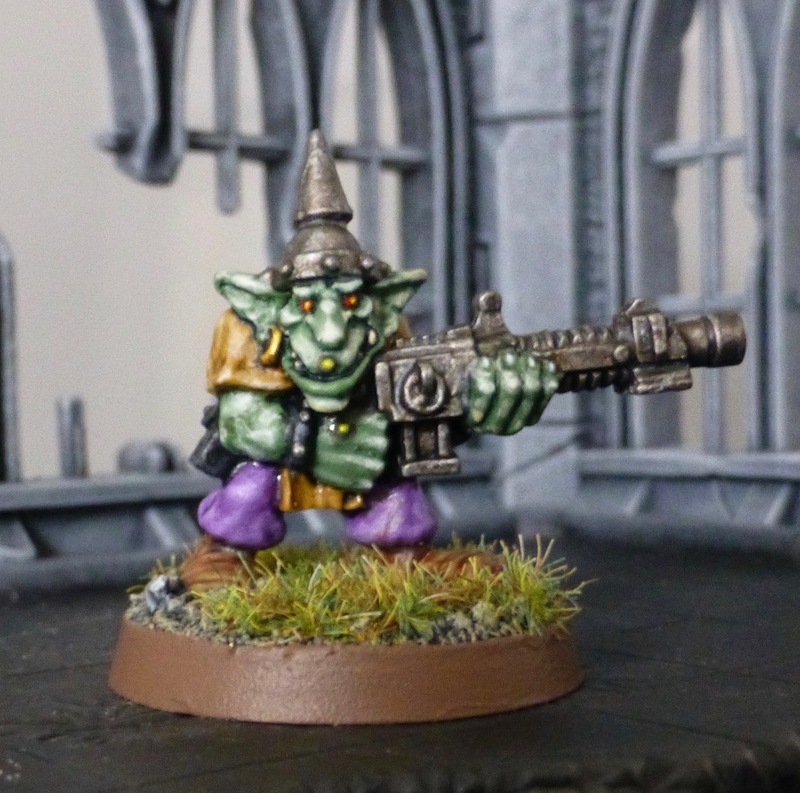 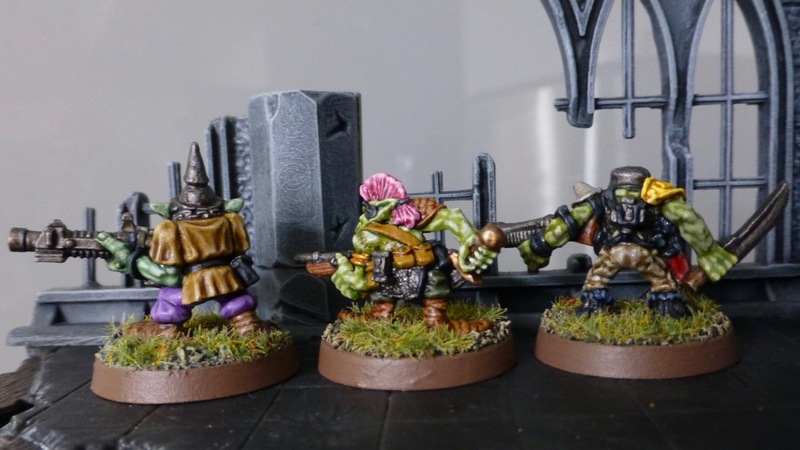 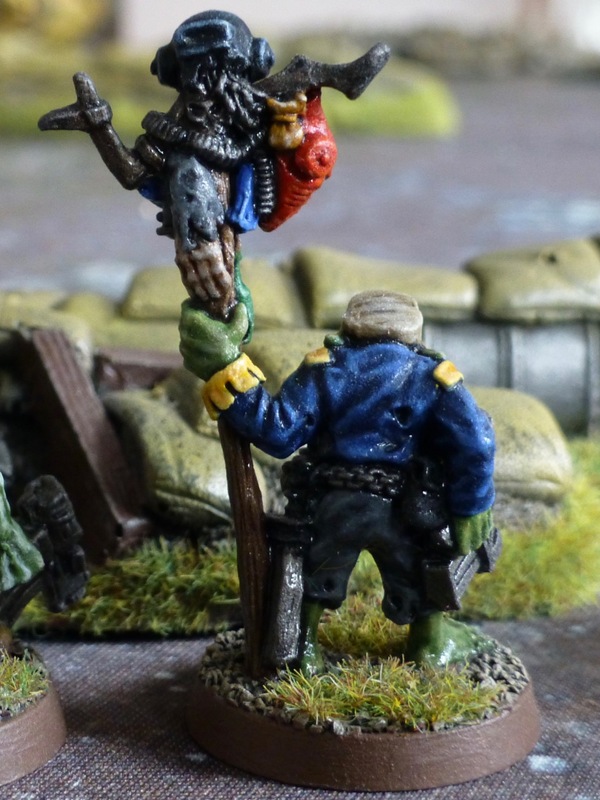 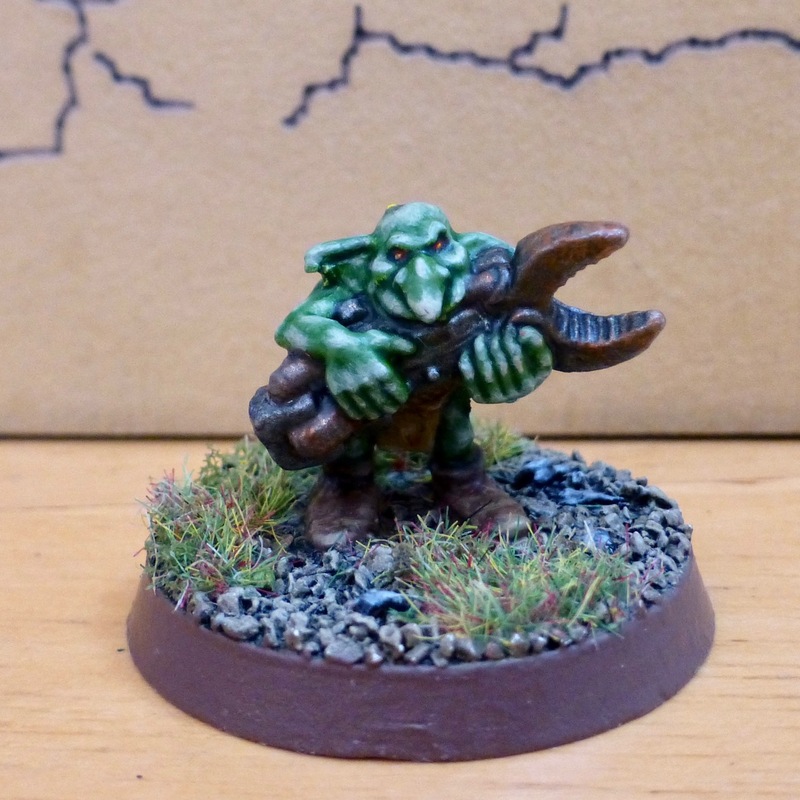 The first Oddboy to join my Warhammer 40k Rogue trader style Blood Axe warband is a Mek with accompanying Gretchin attendant. 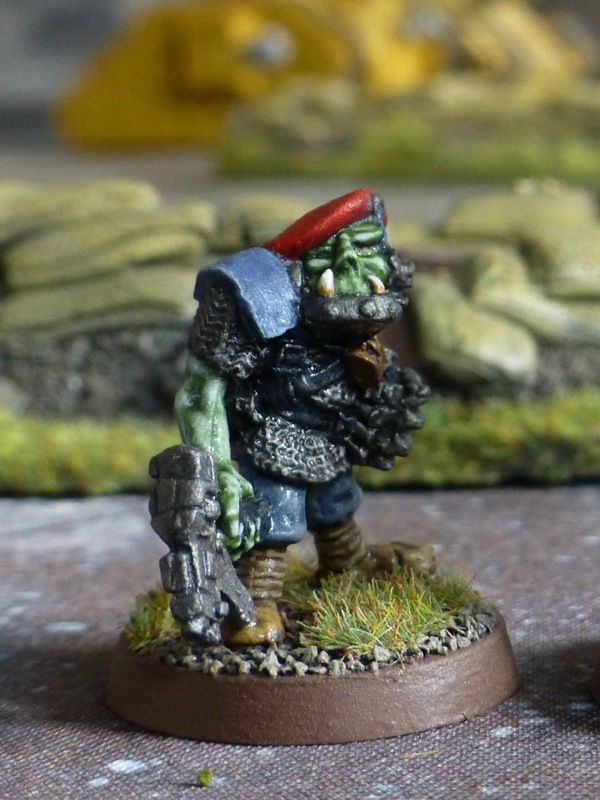 I’ve had this Mekboy figure for a long time, and previously included him as part of a modern style Burna Boyz unit, which was never completed. 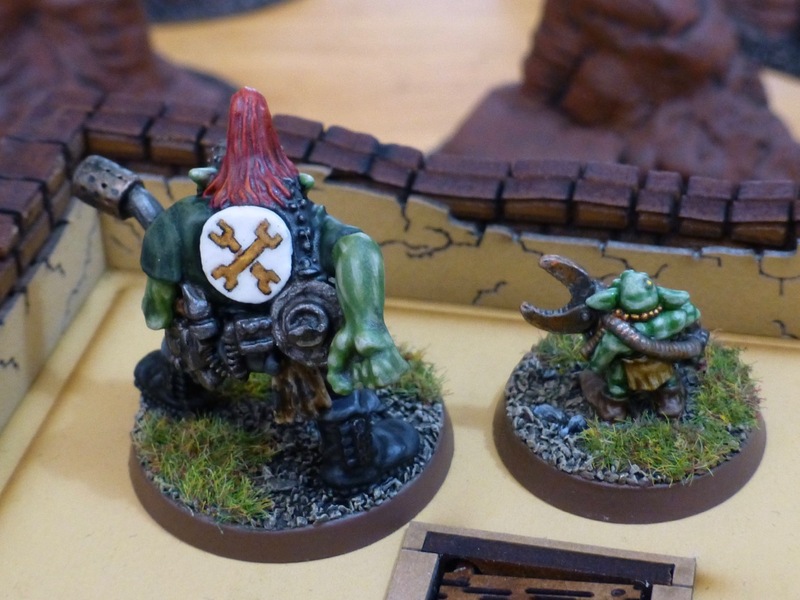 Now that he has set up shop for himself, I completed his paint job and gave him a little helper too. 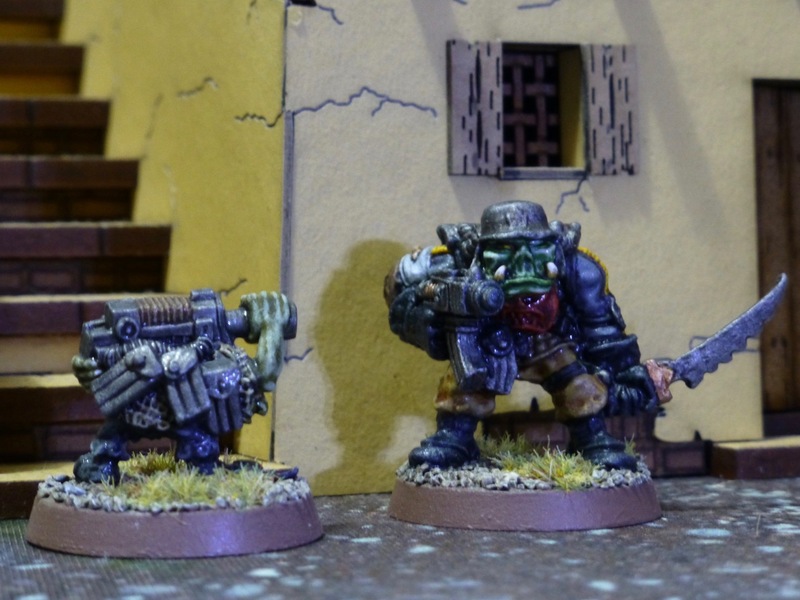 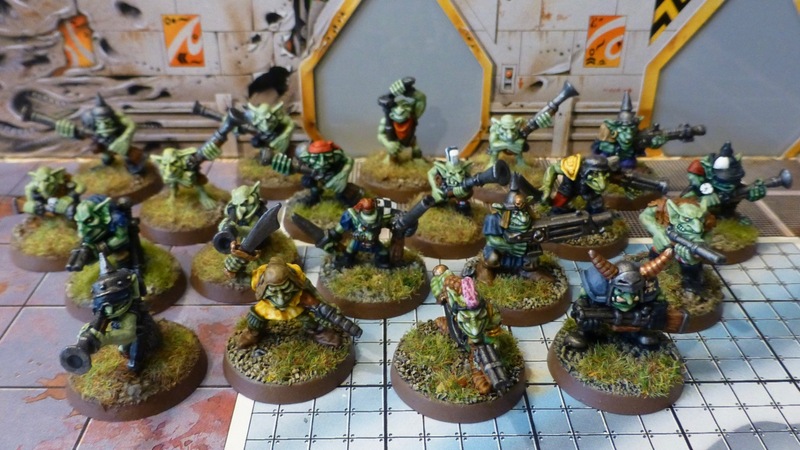 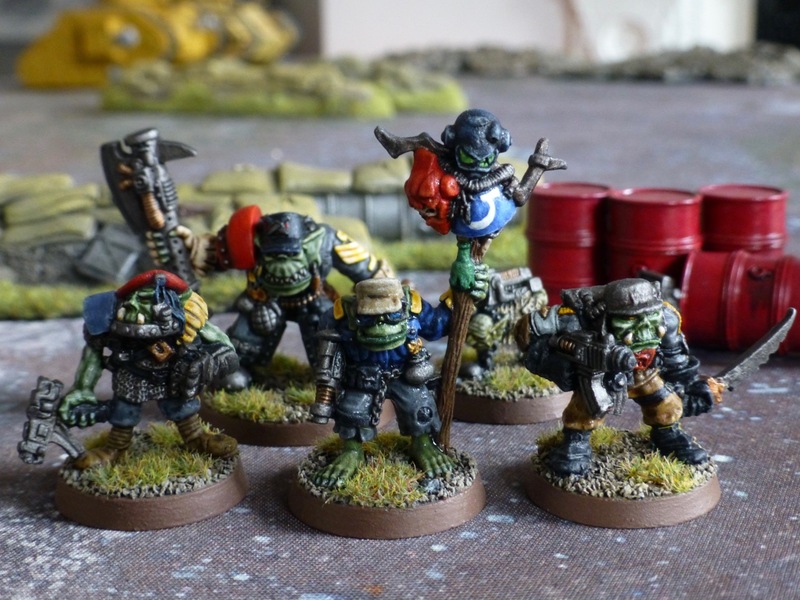 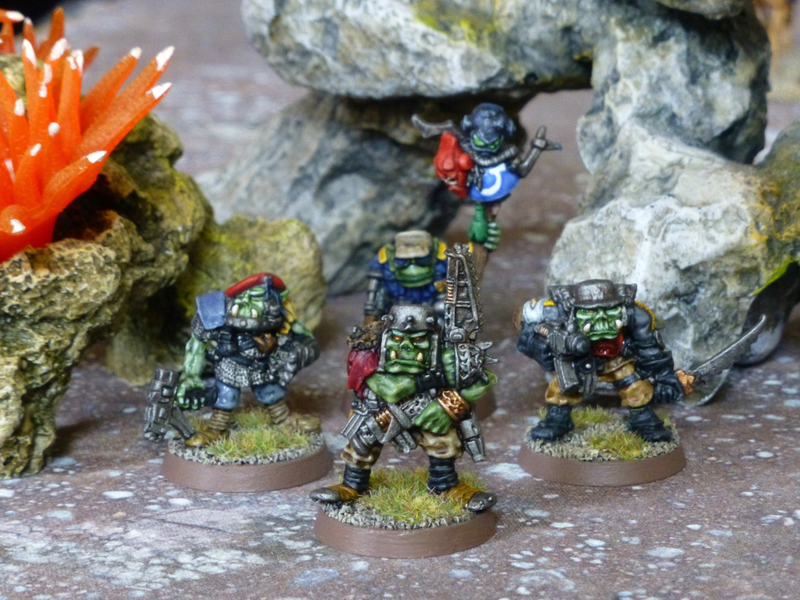 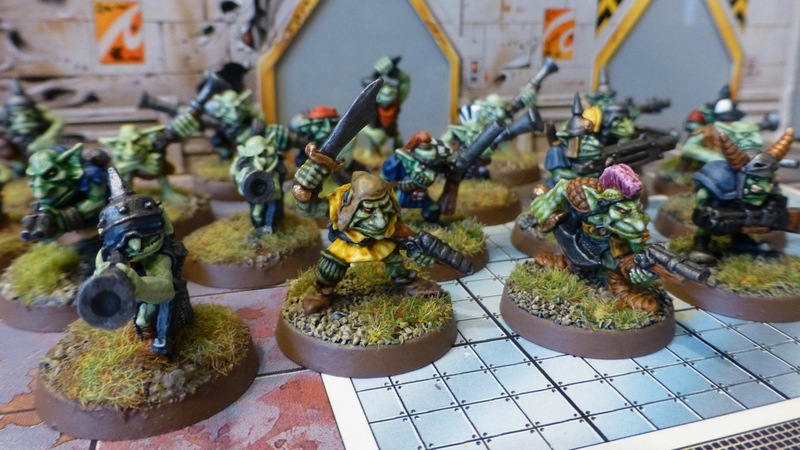 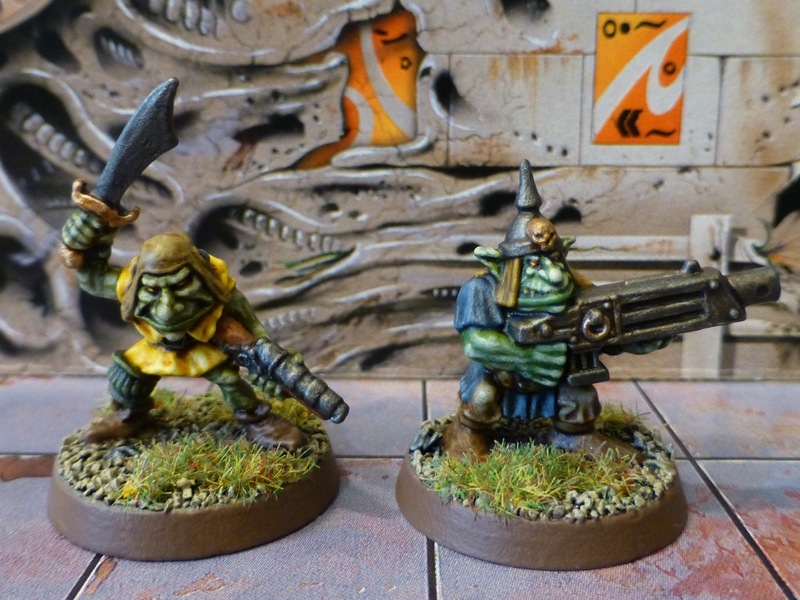 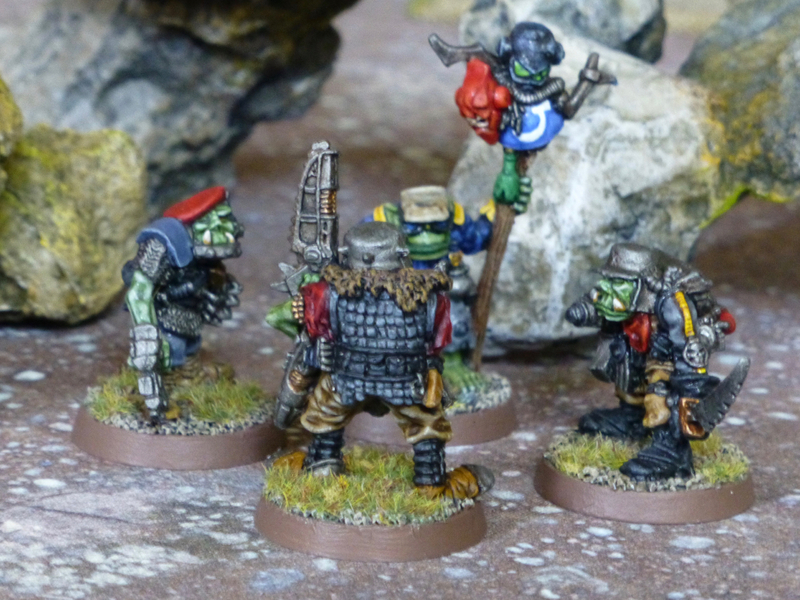 I think these guys make a great duo, and I am planning to have more Gretchin attendants throughout the tribe. 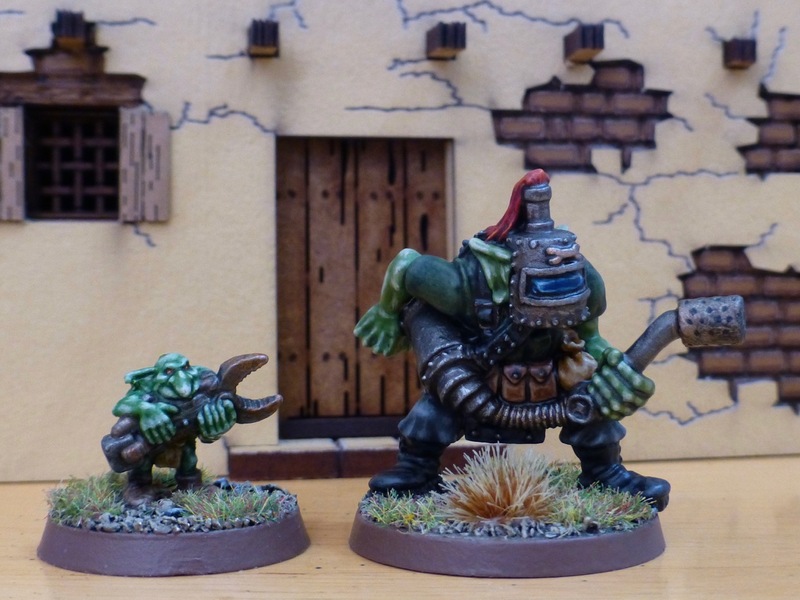 The backdrop for the photos is a 4Ground adobe building, which is a great fit for the Ork architecture we used to see in 90s White Dwarfs and Codex books.